From the kitchen of One Perfect Bite...This is an absolutely wonderful dish that I first sampled while we were in the Valley of the Fairy Chimneys in Turkey. The dish is actually Persian, but I had the good fortune to have a cooking instructor whose husband was Iranian and she often prepared this chicken for him. Working on the assumption that all Americans love fried chicken, she also made the dish for us. Strangely, despite requests, she refused to share her recipe with us. Her rationale was that the dish was Persian and we had come to her kitchen to learn Turkish cooking. Her logic may have been convoluted, but her resolve was a straight as an arrow and she refused to be swayed. After the fact, I realized that her language skills were limited and that while she spoke English, she couldn't write it. Her wonderful recipes had been translated for us by someone else and her refusal was not as arbitrary as I first had thought. I so liked the chicken that I refused to give up on it, and, once home, began to search for something like it. 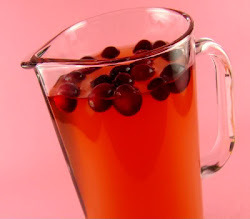 Thanks to Google and The New York Times I've found it and can now share the recipe with you. I think you, too, will love the dish. The chicken is very easy to prepare, but it is a bit pricey and requires some advance planning. The chicken must marinate for several hours before it can be cooked and the marinade contains that costliest of spices, saffron. I promise the wait and cost are worth it, and as long as you don't serve it every week, I think a good case can be made for an occasional caloric splurge. Here's the recipe. Enjoy and hold onto your socks! 1) In a small bowl, combine saffron with 1 tablespoon water and let soak 10 minutes. Place in food processor with yogurt and garlic and purée until smooth and yellow. Place chicken in glass or ceramic bowl; pour yogurt mixture on top, turn to coat; cover and refrigerate at least 3 hours or overnight. 2) In a medium bowl, combine flour, paprika, mint, salt and pepper. Heat a generous half-inch oil in a deep skillet over medium heat. Drop in a bit of bread to test temperature; oil should bubble vigorously. Working in batches to avoid crowding, dredge chicken pieces in flour mixture, then fry until golden brown on both sides, about 7 minutes a side. Remove and drain on paper towels. 3) Sprinkle with salt and serve immediately, topped with walnuts and lemon wedges. Yield: 6 servings. It sounds delicious! What great seasonings. Highly irresistible fried chicken,mouthwatering here..
Yum, this sounds so unique and wonderful! Thanks for your detective work! What would we do without Mr. Google? And I love the picture of the Valley of the Fairies - just the name makes me want to go there! Irresistible flavours and nice pics! Your resolve was pretty firm, too! 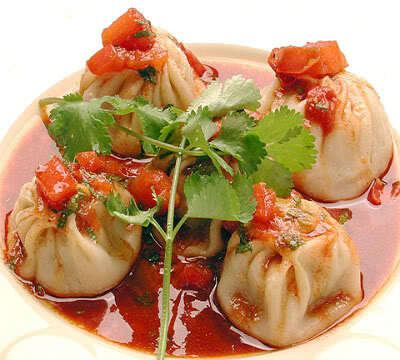 I'm guessing that it really must be that good to make you persevere so> Lucky for us you did and are sharing this dish. I'll try and keep my socks on. This looks and sounds do delicious it has to be from "southern" Persia!! = ) I do happen to have a smidgen of saffron in the cabinet. It's nice to have a recipe from that area without a very long list of herbs and spices. First I'm going over to give Tanna the courage to fry again. After 37 years, it's time. Really enjoyed rading your experience in Turkey. 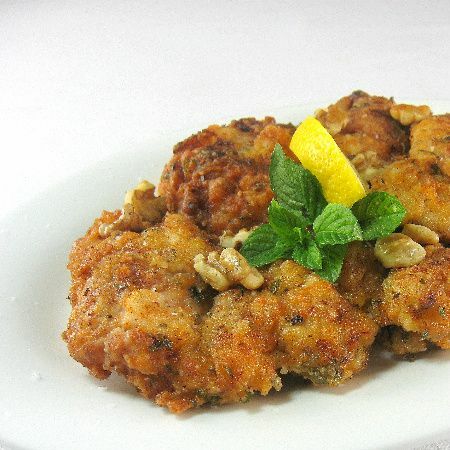 This sounds wonderful; those walnuts must add a special taste to this chicken dish. I did buy some saffron while at that littl4 spice shop in Montreal... What would we do without Google? Merci. Your cooking instructor sounds like quite the character! I admire your recipe fortitude! This looks so flavorful and delicious. Well worth the extra steps it took for you to creatie it. This looks so good. I love how it is different than typical fried chicken. Have a great day! This looks amazing. I'd love to have that chicken right now :) thanks for sharing. Oh my goodness. I have a secret stash of saffron and now I know where it's going! Thanks for my daily chuckle too. Mary: The new library is scheduled for completion in early fall but, right now, construction is ahead of schedule. We are currently having a real downpour but the workers were working inside when I drove by a bit ago. I love this photo is amazing, the food and the fairy rocks, this is a very exotic dish, I would love to try this, we love turkish food, thankyou so much for visiting, have a great monday! Nice to meet you!Also your blog it's fantastic! I'll come back soon! The dish looks as good as the story that goes along with it! You write so well ... not sure which I come to you for - the food or the words! I love any and all fried chicken. Qué bueno este pollo así frito. Tiene que estar riquísimo. Te copio la receta y te sigo! I'm glad you were able to find the recipe -- it definitely looks worth searching for. I'm sure that had I been in the same position, I wouldn't have given up on it either! What a funny lady. I love the spices in this so much more than those in American fried chicken! I had Nepalese friends and they taught me to make the MoMo. 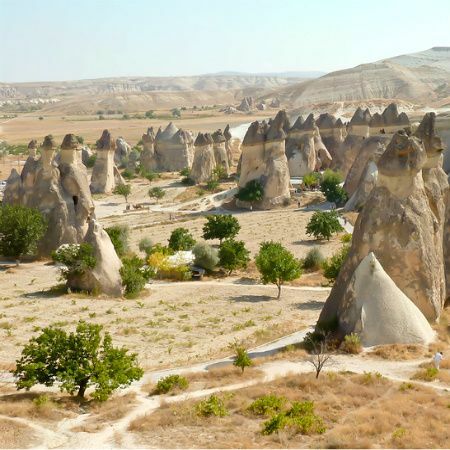 Is there really such a place as "The Valley of the Fairy Chimneys?" I am enchanted. I never do fried chicken - but if it came from that place - even circuitously - I must do it. I even saffron - because I'm always afraid to use it! Mary, you just gave me my belly laugh for the night with your comment. Italians are not... shy. I won't expand. Meanwhile, I think this is the perfect "welcome home from Italy" for husband next weekend. I suspect he won't be looking for pasta! The recipe looks delicious - thanks for not giving up! How lovely that you were able to travel and have cooking lessons in such an exotic place! Your photo of the chicken is mouthwatering. I have a little bit of saffron and this is just the excuse I need to use it! The chicken sounds wonderful Mary; I am one of those americans that is a sucker for fried chicken. Your photo of the fairy chimneys was great! It is great to have friends that are different ethnicity from you, you learn so much on how the food is cooked. I learned that quite a lot with my friends. Persian-style fried chicken looks so flavourful. Mint in fried chicken, that's something exploring. Thanks for sharing, Mary! I have had this while living in Iran and am so excited to try it myself! should I give you the list of the other foods I loved while I was there for you to figure out also??? Thanks for sharing this! I adore this flavor profile - the saffron, mint, paprika ... a must-try! Oh, Mary, that does look tasty! And I love that you never gave up on finding the recipe!! I assume you are able to read. The recipe is credited to the New York Times you jerk. GO Go bother someone else.